Hello my lovelies, I hope that your weekend is going great! While I was clearing my makeup stash the other day, I suddenly realized that I have so many products in my collection which I have not done reviews or swatches here. Not wanting to miss out anything, I decided to commit myself into posting up more swatches and reviews here this month. 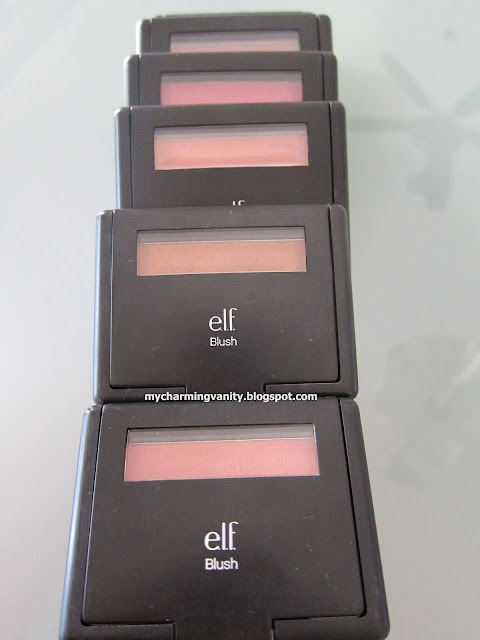 The first post of this installment is swatches of the ELF studio blush which I hauled around end of 2011. I own 6 outta the 11 blushes that they offer in their Studio line blushes. I'm sure that most of you would have already know how the packaging looks like but for the sake of those unaware, here is a picture of the sleek black plastic packaging that the ELF studio blushes comes in. I personally think that with ELF products, it is always a hit or miss thing. Though I do like all the color of the blushes I purchased, I must say that their quality varies. 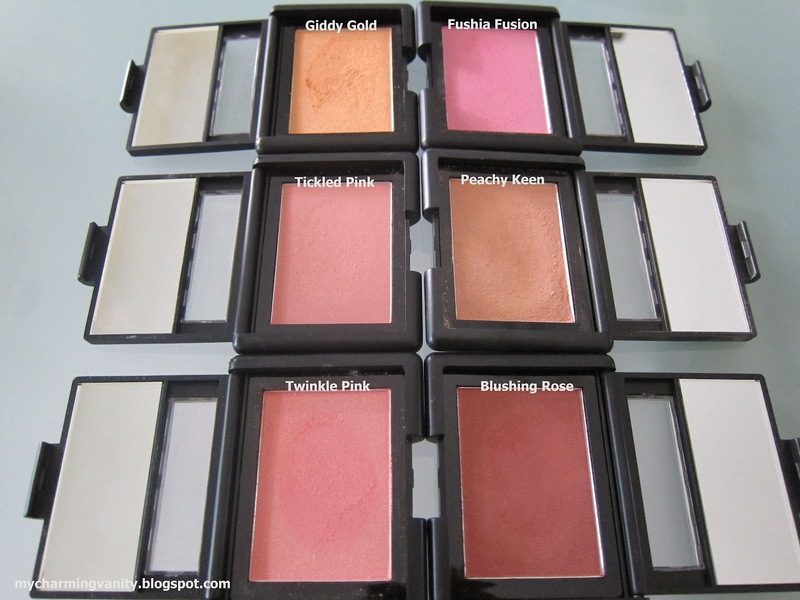 Outta the bunch, my favorites are Blushing Rose, Fushia Fusion, Tickled Pink and Twinkle Pink. I prefer them over the other 2 (Peachy Keen, Giddy Gold) not because of the color but solely due to the better quality. 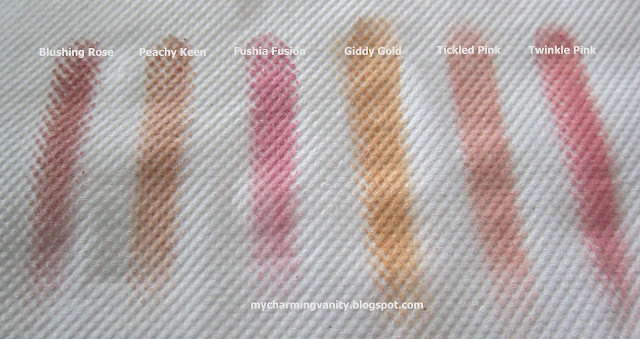 I always hate blushes that are too powdery, chalky and have crazy amount of fall outs and Peachy Keen and Giddy Gold happen to match all 3 worst scenarios of a blush. With that said, I still think that ELF studio blushes are definitely worth purchasing especially if you are out trying new colors for your skin. 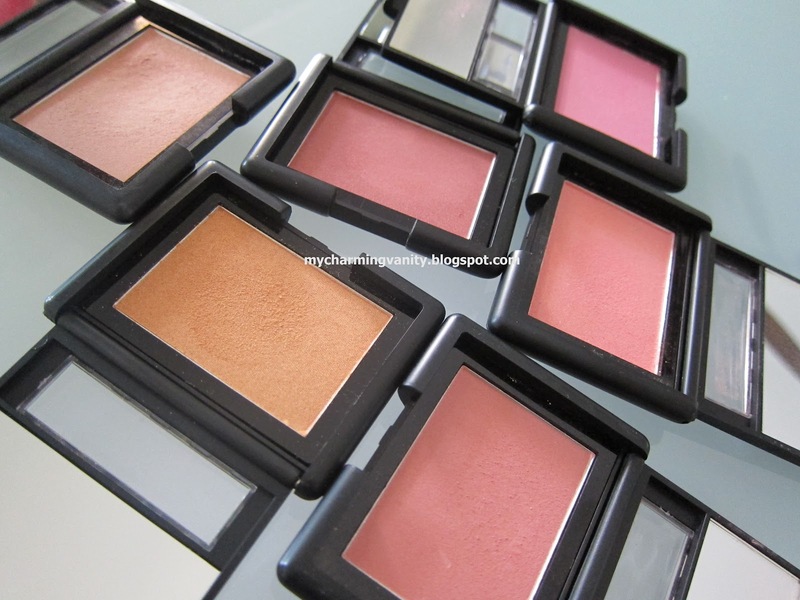 As far it goes, I think US$3 per blush won't really break a bank. To get them, you can visit this link. Great post!! I own Tickled Pink and Candid Coral but lately...I've been thinking about adding a few more to my collection. Blushing Rose looks like it'd be a really pretty color when applied!